The FBI has announced the stolen SUV used in the kidnapping of a 13-year-old Lumberton teen has been found early Tuesday morning. LUMBERTON, N.C. — The FBI has announced the stolen SUV used in the kidnapping of a 13-year-old Lumberton teen has been found early Tuesday morning. According to officials, the SUV was found just before 8:00 a.m. Tuesday morning off Quincey Drive in Lumberton. FBI reports 13-year-old Hania Aguilar. is still missing. 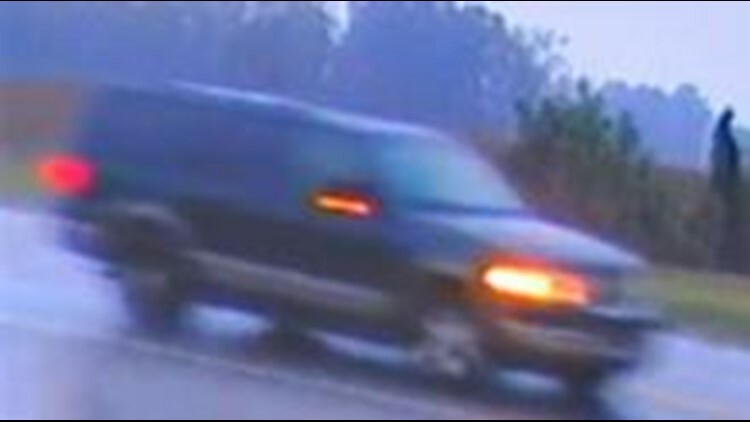 The Lumberton Police Department &amp; FBI have uncovered a photo of the SUV wanted in connection with the kidnapping of 13-year-old Hania Aguilar. The FBI announced Tuesday that they are offering a reward of up to $15,000 for information that helps locate Aguilar. The 13-year-old girl who was abducted while she was standing outside her family's mobile home. On Wednesday night, Aguilar’s 8th-grade teachers, family, and friends came together to pray for her safe return home. "The most important part of our investigation is you, the public" said Andy De La Rocha, a senior FBI agent who is helping in the probe to find Hania. "And we need your help." Investigators have been collecting and analyzing surveillance video since Hania was taken from her home on November 5, 2018. Police said a man dressed in all black and wearing a yellow bandana grabbed Aguilar at Rosewood Mobile Home Park. Police said the man forced the girl into a stolen Green 2002 Ford Expedition. The car was registered to Velasquez Hernandez of Summerville, South Carolina, and had South Carolina license plate NWS-984. Late Monday night, authorities released a new picture that more closely resembles the SUV. They said the paint on the hood is peeling, and there is a Clemson sticker on the rear window. Investigators with the Lumberton Police Department, Robeson County Sheriff's Office, FBI Agents, and SBI agents are currently following nearly 50 leads. A special tip line has been set up for anyone to call for with information to help investigators find Aguilar at 910-272-5871. The girl's mother made a plea for Aguilar's return. "I just want my daughter back with me. I am here waiting for you, I love you, and I only care about you and I don’t have anything against whoever did this to you. I just want you back," she said. On Tuesday, the FBI released a poster in Spanish showing the suspect's vehicle and pictures of the girl.